The Boeing 727 is a mid-size, narrow-body, three-engine, T-tailed commercial jet airliner, manufactured by Boeing. The Boeing 727 first flew in 1963, and for over a decade more were built per year than any other jet airliner. When production ended in 1984 a total of 1,832 aircraft had been produced. The 727's sales record for the most jet airliners ever sold was broken in the early 1990s by its younger stablemate, the Boeing 737. The 727 followed the success of the Boeing 707 quad-jet airliner. Designed for short-haul routes, the 727 became a mainstay of airlines' domestic route networks. A stretched variant, the 727-200, debuted in 1967. In August 2008, 81 Boeing 727-100 aircraft and 419 727-200 aircraft were in airline service. The Boeing 727 design was a compromise between United Airlines, American Airlines, and Eastern Air Lines requirements for a jet airliner to serve smaller cities with shorter runways and fewer passengers. United Airlines wanted a four-engined aircraft for its flights to high-altitude airports, especially its hub at Stapleton International Airport at Denver, Colorado. American, which was operating the four-engined Boeing 707 and Boeing 720, wanted a twin-engined aircraft for efficiency. Eastern wanted a third engine for its overwater flights to the Caribbean, since at that time twin-engined commercial flights were limited by regulations to routes with 60-minute maximum flying time to an airport (see ETOPS/LROPS). Eventually, the airlines agreed on a trijet. 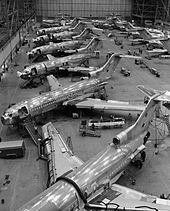 In 1959 Lord Douglas, chairman of British European Airways (BEA), suggested that Boeing and de Havilland Aircraft Company (later Hawker Siddeley) work together on their trijet designs, the 727 and D.H.121 Trident, respectively. The two designs had a similar layout, the 727 being slightly larger. At that time Boeing intended to use three Allison AR963 turbofan engines, license-built versions of the Rolls-Royce RB163 Spey used by the Trident. Boeing and de Haviland each sent engineers to the other company’s locations to evaluate each other’s designs, but Boeing eventually decided against the joint venture. De Havilland had wanted Boeing to license-build the D.H.121, while Boeing felt the design needed to be designed for the American market, with six-abreast seating and the ability to use runways as short as 4,500 ft. In 1960 Pratt & Whitney was trying to find a customer for their new JT8D turbofan design study, based on its J52 (JT8A) turbojet, while United and Eastern were interested in having Pratt & Whitney offer an alternative engine to the RB163 Spey. Once Pratt & Whitney agreed to go ahead with development of the JT8D, Eddie Rickenbacker, Chairman of the Board of Eastern, let Boeing know that the airline preferred the JT8D for their 727s. Boeing had previously declined to offer the JT8D, as it was about 1,000 lbs heavier than the RB163, though slightly more powerful. The RB163 was also further along in development than the JT8D. Boeing reluctantly agreed to offer the JT8D as an option on the 727; it later became the sole powerplant. The middle engine (engine 2) at the very rear of the fuselage gets air from an inlet ahead of the vertical fin through an S-shaped duct. The 727 had high-lift devices on its wing, thus being one of the first jets able to operate from relatively short runways. Later models of the 727 were stretched to accommodate more passengers and replaced earlier jet airliners such as the Boeing 707 and Douglas DC-8 on domestic routes. The 727 proved to be such a reliable and versatile airliner that it came to form the core of many start-up airlines' fleets. The 727 was successful with airlines worldwide partly because it could use smaller runways while still flying medium-range routes. This allowed airlines to carry passengers from cities with large populations but smaller airports to worldwide tourist destinations. One of the features that gave the 727 its ability to land on shorter runways was its unique wing design. With no wing-mounted engines, leading-edge devices (Krueger, or hinged, flaps on the inner wing and extendable leading edge slats out to the wingtip) and trailing-edge lift enhancement equipment (triple-slotted, aft-moving flaps) could be used on the entire wing. Together these high-lift devices produced a maximum wing lift coefficient of 3.6 (based on the flap-retracted wing area). The 727 was stable at very low speeds compared to other early jets, but domestic carriers learned after review of various accidents that the 40-degree flaps setting could result in a higher-than-desired sink rate or a stall on final approach. These carriers' Pilots' Operation Handbooks disallowed using more than 30 degrees' flaps on the 727, even going so far as installing plates on the flap slot to prevent selection of more than 30 degrees' flaps. Early 727s had nose gear brakes fitted to reduce braking distance on landing, but these were soon removed from service as they provided little reduction in braking distances, while adding weight and increasing maintenance needs. Picture - Lloyd A�reo Boliviano 727-200 at Jorge Wilsterman Airport. The rear air stairs are visible at the 727's tail. The 727 was designed for smaller airports, so independence from ground facilities was an important requirement. This led to one of the 727's most distinctive features: the built-in airstair that opens from the rear underbelly of the fuselage. D. B. Cooper, a hijacker, parachuted from the back of a 727 as it was flying over the Pacific Northwest. Boeing subsequently modified the design with the Cooper vane so that the airstair could not be lowered in flight. Another innovation was the auxiliary power unit (APU), which allowed electrical and air-conditioning systems to run independent of a ground-based power supply, without having to start one of the main engines. The 727 is equipped with a retractable tail skid that is designed to protect the aircraft in the event of an over-rotation on takeoff. The 727's fuselage has an outer diameter of 148 inches (3.8 m). This allows six-abreast seating (three per side) and a single aisle when 18 inches (46 cm) wide coach-class seats are installed. An unusual feature of the fuselage is the 10 inch difference between the lower lobe forward and aft of the wing as the higher fuselage height of the centre-section was simply retained towards the rear. The 727 is one of the noisiest commercial jetliners, categorized as Stage 2 by the U.S. Noise Control Act of 1972, which mandated the gradual introduction of quieter Stage 3 aircraft. The 727's JT8D jet engines use older low-bypass turbofan technology, whereas Stage 3 aircraft utilize the more efficient and quieter high-bypass turbofan design. When the Stage 3 requirement was being proposed, Boeing engineers analyzed the possibility of incorporating quieter engines on the 727. They determined that the JT8D-200 engine could be used on the two side-mounted pylons, but the structural changes to fit the larger-diameter engine (49.2 inches (125 cm) fan diameter in the JT8D-200 compared to 39.9 inches (101 cm) in the JT8D-7) into the fuselage at the number two engine location were prohibitive. Current regulations require that a 727 in commercial service must be retrofitted with a hush kit to reduce engine noise to Stage 3 levels. One such hush kit is offered by FedEx, and has been purchased by over 60 customers. After-market winglets kits, originally developed by Valsan Partners and later marketed by Quiet Wing Corp. have been installed on many 727s to reduce noise at lower speeds, as well as to reduce fuel consumption. Kelowna Flightcraft's maintenance division in Canada has installed winglets on Donald Trump's private 727-100. In addition, Raisbeck Engineering developed packages to enable 727s to meet the Stage 3 noise requirements. These packages managed to get light- and medium-weight 727s to meet Stage 3 with simple changes to the flap and slat schedules. For heavier-weight 727s, exhaust mixers must be added to meet Stage 3. From September 1, 2010, 727 jetliners (including those with a hush kit) will be banned from some Australian airports due to noise. In addition to domestic flights of medium range, the 727 was popular with international passenger airlines. The range of flights it could cover (and the additional safety added by the third engine) meant that the 727 proved efficient for short- to medium-range international flights in areas around the world. Prior to its introduction, four-engine jets or propeller-driven airliners were required for transoceanic service. The 727 also proved popular with cargo airlines and charter airlines. FedEx Express introduced 727s in 1978. 727s were the backbone of its fleet until recently, but FedEx is now phasing them out in favor of the Boeing 757. 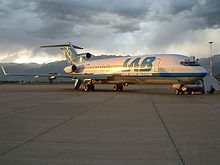 Many cargo airlines worldwide employ the 727 as a workhorse, since, as it is being phased out of U.S. domestic service due to noise regulations, it becomes available to overseas users in areas where such noise regulations have not yet been instituted. Charter airlines Sun Country, Champion Air, and Ryan International Airlines all started with 727 aircraft. The 727 has proven to be popular where the airline serves airports with gravel, or otherwise lightly improved runways. The Canadian airline First Air, for example, previously used a 727-200C to service the communities of Resolute Bay and Arctic Bay in Nunavut, both of which have gravel runways. The high mounted engines greatly reduces the risk of foreign object damage. Other companies use the 727 to transport passengers to their resorts or cruise ships. Such was the example of Carnival Cruise Lines, which used both the 727 and 737 to fly both regular flights and flights to transport their passengers to cities that harbored their ships. Carnival used the jets on its airline division, Carnival Air Lines. According to the Boeing Jetliner Databook, the Justice Prisoner and Alien Transportation System, also known as 'Con Air', currently uses four 727 aircraft to transport persons in legal custody between prisons, detaining centers, courthouses, and other places where they must be transported. At the turn of the 21st century, the 727 was in service with a few airline fleets; however, due to changes by the U.S. FAA and the ICAO in over-water flight requirements, most major airlines had already begun to switch to twin-engine aircraft, which are more fuel-efficient and quieter than the three-engine 727. Also, the 727 was one of the last airliners in service to have a three-person flight crew, including a flight engineer, a crew member whose tasks have been largely automated on newer airliners. Faced with higher fuel costs (although all major United States airlines phased them out immediately prior to the oil price increases since 2003), lower passenger volumes due to the post-9/11 economic climate, increasing restrictions on airport noise, and the extra expenses of maintaining older planes and paying flight engineers' salaries, most major airlines have phased 727s out of their fleets. 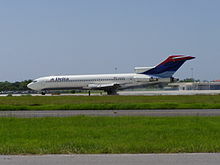 Delta Air Lines, the last major U.S. carrier to do so, retired its last 727 from scheduled service in March 2003. Northwest Airlines retired its last 727 from charter service in June 2003. The 727 is still flying for some smaller start-up airlines, cargo airlines, and charter airlines, and it is also sometimes used as a private means of transportation. The official replacement for the 727 in Boeing's lineup was the Boeing 757; however, the smallest 757 variant, the 757-200, is significantly larger than the 727-200, so many airlines replaced their 727s with either the 737-800 or the Airbus A320, both of which are closer in size to the 727-200. There are two variants of the 727. The 727-100 was launched in 1960 and placed into service in February 1964. The 727-200 was launched in 1965 and placed into service in December 1967. The first 727-100 flew on February 9, 1963 and FAA type approval was awarded on December 24 of that year. The first delivery to United Airlines was made prior to this on October 29, to allow pilot training to commence. The first 727 passenger service was flown by Eastern Air Lines on February 1, 1964, between Miami, Florida, Washington, D.C., and Philadelphia, Pennsylvania. A total of 571 727-100s were delivered (407 -100s, 53 -100Cs, and 111 -100QCs). One 727-100 was completed and retained by Boeing, bringing total production to 572. QC stands for Quick Change. This is similar to the Convertible version with a roller-bearing floor for palletised galley and seating and/or cargo to allow much faster changeover time (30 minutes). QF stands for Quiet Freighter. A cargo conversion for United Parcel Service, re-engined with Stage III-compliant Rolls-Royce Tay turbofans. Stretched version of the 727-100. The −200 is 20 feet (6.1 m) longer (153 feet, 2 inches, 46.7 m) than the −100 (133 feet, 2 inches, 40.6 m). A ten-foot (3-meter) fuselage section ("plug") was added in front of the wings and another ten-foot fuselage section was added behind them. The wing span and height remain the same on both the −100 and −200 (108 feet (33 m) and 34 feet (10 m), respectively). 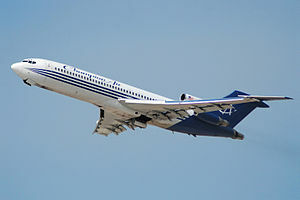 The original 727-200 had the same max gross weight as the 727-100; however, as the aircraft evolved, a series of higher gross weights and more powerful engines were introduced along with other improvements, and, from line number 881, 727-200s are dubbed −200 Advanced. The aircraft gross weight eventually increased from 169,000 to 209,500 pounds (77,000 to 95,000 kg) for the latest versions. The dorsal intake of the number two engine was also redesigned to be round in shape, rather than oval as it was on the 100 series. The first 727-200 flew on July 27, 1967 and received FAA certification on November 30, 1967. The first delivery was made on 14 December 1967 to Northwest Airlines. A total of 310 727-200s were delivered before giving way to the 727-200Adv in 1972. Convertible passenger cargo version. Only two were built. MTOW and range increased. Also, cabin improvements. A freighter version of the 727-200 Advanced became available in 1981 designated the Series 200F Advanced powered by the Pratt & Whitney JT8D-17A engines and featured a strengthened fuselage structure, an 11 ft 2 inch by 7 ft 2 inch forward main deck freight door and a windowless cabin. This was the last production variant of the 727 to be developed by Boeing, and 15 aircraft were built, all for Federal Express. The last 727 aircraft to be completed by Boeing was the Series 200F Advanced for Federal Express. Speed increased by 50 mph (80 km/h), due to replacement of the two side engines with the JT8D-217, which are also found on many MD-80s, along with the addition of hush kits to the center engine. Winglets were added to some of these aircraft to increase fuel efficiency. This modification was originally developed by Valsan Partners, but was later marketed by Goodrich. In addition, the 727 has seen sporadic government use, having flown for the Belgian, Yugoslavian, Mexican, New Zealand, and Panama air forces, among the small group of government agencies that have used it. The United States military used the 727 as a military transport, designated as the C-22. Royal New Zealand Air Force purchased three ex-United Airlines aircraft in 1981, with two operated by No. 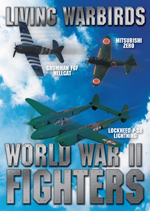 40 Squadron RNZAF and the third placed into storage and later broken up. The 727 that carried New Zealand Prime Minister Jim Bolger was known as Spud One. The 727s have since been replaced by two 757s. As of 2010, a total of 325 incidents involving 727s had occurred, including 112 hull-loss accidents resulting in a total of 3,783 fatalities. The 727 has also been in 178 hijackings involving 345 fatalities. On August 16, 1965, United Airlines Flight 389, a new Boeing 727-100, crashed into Lake Michigan 30 miles east northeast of Chicago's O'Hare Airport. 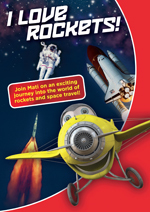 The crew were told to descend and maintain 6,000 feet, which was the last radio communication with the flight. The NTSB was not able to determine why the airliner continued its descent into the water. On November 8, 1965, American Airlines Flight 383, a Boeing 727-100, crashed on approach to the Greater Cincinnati Airport with 62 people on board. Only three passengers and one flight attendant survived. The investigation determined that the probable cause of the accident was the failure of the crew to properly monitor the altimeters during a visual approach into deteriorating visibility conditions. On November 11, 1965, United Airlines Flight 227, a Boeing 727-100, departed New York-LaGuardia for a flight to San Francisco via Cleveland, Chicago, Denver, and Salt Lake City. Flight 227 crashed on landing at Salt Lake International Airport, causing the deaths of 43 of the 91 people on board. On February 4, 1966, All Nippon Airways Flight 60, a Boeing 727-100, was on approach to Tokyo's Haneda Airport at night when it inexplicably crashed into the sea 6.5 miles from the airport. All seven crew and all 126 passengers perished. A cause for the accident could not be determined. On July 19, 1967, Piedmont Airlines Flight 22 collided with a twin-engine Cessna 310 shortly after departing from Asheville Regional Airport in Asheville, North Carolina. All 79 passengers and crew on the 727 and all three persons on board the Cessna were killed. On February 16, 1968, Civil Air Transport Flight 010 crashed on approach to Taipei. The accident killed 21 of 63 passengers and crew and one person on the ground. On 5 January 1969, Ariana Afghan Airlines Flight 701 crashed short of the runway near London Gatwick Airport killing 48 passengers and crew and 2 people on the ground. On July 30, 1971 All Nippon Airways Flight 58 collided with a Japan Air Self-Defense Force (JASDF) F-86F fighter jet, 92-7932, while en route from Chitose Airport to Haneda Airport in Tokyo, Japan. All 162 passengers and crew on board the 727 were killed, the fighter jet pilot survived. All Nippon Airways Flight 58 was the worst crash in aviation history at the time it happened. On September 4, 1971, Alaska Airlines Flight 1866, a Boeing 727-100, crashed into a mountain while on approach to Juneau, Alaska. Part of the cause involved the aircrew receiving erroneous navigational information for approach. All seven crew members and 104 passengers were killed. In 1971, Northwest Airlines Flight 305 was hijacked by passenger D. B. Cooper while en route from Portland, Oregon to Seattle, Washington. After receiving a payment of $200,000 and four parachutes when he was in Seattle, he told the pilots to fly to Mexico, and jumped out of the aircraft from the aft airstairs over Washington or Oregon. Cooper's fate is unknown. In 1972, during an attempted coup d'�tat, jets from the Royal Moroccan Air Force fired upon the Boeing 727 of King Hassan II of Morocco while he was traveling to Rabat. 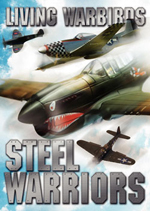 After the aircraft survived the attack, the king awarded the plane a medal of honor. On February 21, 1973, Libyan Arab Airlines Flight 114, a Boeing 727-200 flying over the Sinai Desert was fired upon by Israeli air forces that suspected it of being an enemy military plane. Of 113 people on board, 108 died. On December 1, 1974, TWA Flight 514, a Boeing 727-200 (registration N54328), crashed on Mount Weather while flying from Indianapolis, Indiana, and Columbus, Ohio, to Washington Dulles International Airport in turbulent weather. All 85 passengers and 7 crew members aboard were killed. On December 1, 1974, a 727 on Northwest Airlines Flight 6231, also known as the Harriman State Park plane crash, crashed on the same day as TWA Flight 514. On June 24, 1975, Eastern Air Lines Flight 66 crashed on approach for John F. Kennedy International Airport, killing 113 people. The cause was determined to be a microburst. On November 19, 1977, TAP Portugal Flight 425 overran the runway at Madeira Airport and plunged over a steep bank, bursting into flames and killing 131 of the 164 people on board. On September 25, 1978, Pacific Southwest Airlines Flight 182, a Boeing 727, crashed after colliding with a Cessna 172 aircraft in San Diego, killing 144 people. On March 14, 1979, Royal Jordanian Airlines Flight 600, a Boeing 727, crashed at Doha Airport in Qatar after an approach during a thunderstorm. The disaster killed 45 of the 64 passengers on board. On January 21, 1980, an Iran Air 727 crashed near Tehran, Iran, killing all 128 on board. On April 12, 1980, Transbrasil Flight 303, a Boeing 727-27C crashed in Florianx�polis, Brazil. 55 of the 58 people aboard died. On April 25, 1980, Dan-Air Flight 1008, a Boeing 727-100 crashed in Tenerife. All on board were killed when the aircraft hit terrain while circling. On June 8, 1982, VASP Flight 168, a Boeing 727-200A, a scheduled passenger flight from Rio de Janeiro, Brazil to Fortaleza crashed into a hillside on final approach to Fortaleza, killing all 137 people on board. On July 9, 1982, Pan Am Flight 759 crashed due to a microburst shortly after take-off from New Orleans International Airport. All 145 on board of as well as 8 people on the ground were killed. On January 1, 1985, Eastern Air Lines Flight 980, a Boeing 727, crashed into Mount Illimani at an altitude of 19,600 feet. All 29 crew and passengers on board were killed. The flight, flight number 980, was flying from Silvio Pettirossi International Airport and destined for El Alto International Airport. On February 19, 1985, Iberia Airlines Flight 610, a Boeing 727, crashed after striking a television antenna while landing in Bilbao, killing 148 people. Flight 610 originated from Madrid-Barajas Airport. On March 31, 1986, Mexicana Flight 940 with 167 people on board (eight crew and 159 passengers) crashed near Maravatx�o, Michoacx�n, Mexico. Shortly after takeoff and climbing to 29,000 feet, an overheated tire exploded in the right main wheel well, tearing through fuel lines and damaging the hydraulic and electrical systems. The resulting fire eventually rendered the aircraft uncontrollable. There were no survivors. To date Mexicana Flight 940 remains both the deadliest crash involving a 727 and the deadliest crash in Mexico aviation history. On January 8, 1987, Middle East Airlines Boeing 727-323C OD-AHB was destroyed by shelling after landing at Beirut International Airport. On March 17, 1988, Avianca Flight 410, a Boeing 727 domestic flight, crashed into low mountains near Cx�cuta - Norte de Santander, Colombia, after take-off, killing all 143 on board. It was determined that pilot error was also the cause of this crash, in a situation similar to that of Avianca Flight 011, five years earlier. On October 21, 1989, Tan-Sahsa Flight 414 a Boeing 727-200 (N88705) operated as TAN, crashed at the "Cerro de Hula" mountains after an unsuccessful approach method, killing 127 people. On November 27, 1989, an Avianca Boeing 727 crashed after a bomb exploded on board. All 6 crew and 101 passengers were killed. On December 22, 1992, a Libyan Airlines Boeing 727 collided with a MiG-23 training aircraft, killing all 157 people on board the 727 and both MiG pilots. On May 19, 1993, SAM Colombia Flight 505, en route from Panama City, Panama, to Medellx�n, Colombia, hit Mt. Paramo de Frontino at 12,300 ft. while on approach to Jos� Marx�a Cx�rdova International Airport (SKRG). The aircraft descended into mountainous terrain before actually reaching the Abejorral non-directional beacon. The VHF Omni-directional radio Range/Distance Measuring Equipment (VOR/DME) had been sabotaged by terrorists and was not in service. All 132 passengers (including a group of Panamanian dentists on their way to a convention) were killed. On November 7, 1996, an ADC Airlines 727 went down near Ejirin, Nigeria when the pilots lost control after taking evasive action to avoid a midair collision. 144 people were killed in crash. On October 10, 1998, a Lignes A�riennes Congolaises 727 was hit by a shoulder-fired Strela 2 surface-to-air missile and crashed. On May 25, 2003, a 727 with the registration number N844AA, formerly used by American Airlines, was stolen from Luanda's international airport in Angola. 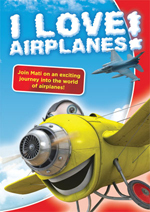 The fate of that aircraft was never discovered. On December 25, 2003, during takeoff a 727-223 chartered by Union des Transports A�riens de Guin�e (UTA Flight 141) overran the runway at Cotonou Cadjehoun Airport into the sea. 151 of the 163 passengers on the manifest died, however the manifest is believed to have understated the number of passengers on board. A French BEA investigation attributed the cause of the crash to overloading of passengers and cargo leading to out of limits center of gravity. On January 2, 2010, Boeing 727-231F 9Q-CAA of Congolese airline Compagnie Africaine d'Aviation was substantially damaged when it departed the side of the runway at N'djili Airport, Kinshasha and was written off. On January 9, 2011, Iran Air Flight 277, a Boeing 727-286 Advanced, registration EP-IRP, crashed shortly before landing northwest of Orumiyeh, Iran. Of the 104 passengers and crew on board, 77 were killed. Museum of Flight First 727 completed, still in restoration stage. To be flown to museum when finished. Another 727 is currently on display. National Museum of Commercial Aviation, Atlanta, GA - ex-FedEx 727 in storage at Atlanta airport.